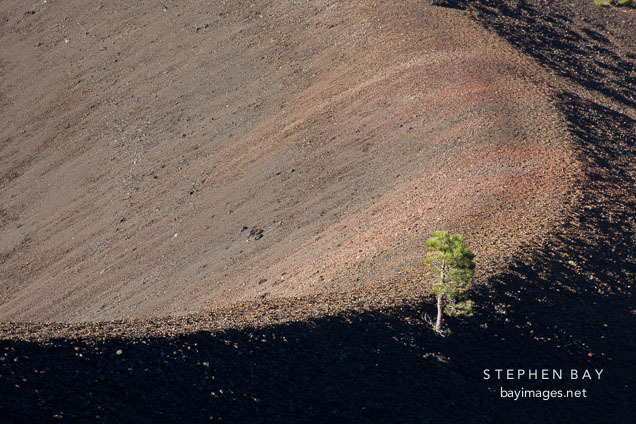 Photo: Pine tree growing on the curve of crater at Cinder Cone. Lassen NP, California. Pine tree growing on the curve of crater at Cinder Cone. Lassen NP, California.